Happy New Year! Are you one of those always dependable family go-to-persons. Whether it’s hosting holiday celebrations, coughing up emergency loans or last minute babysitting, you can’t say no. The result is feeling stressed, angry, used and unappreciated. Welcome to the overworked, over stressed, underappreciated, can’t say ‘no’ club. Most people who make New Year’s resolutions are looking to improve their lives, and a common thread in these attempted life changes involves saying no. The number of worthy requests isn’t likely to lessen, and you can’t add more available time to your day. Are you doomed then to be overcommitted and underappreciated? The answer is no, not if you’re willing to say no. It may not be the easy way, but it is a path to solving your problem. From saying yes to unhealthy eating and drinking to going from an occasional babysitter to raising your grandkids, is it any wonder that you can’t find a minute for relaxation? In fact, if you’re like most women, you may have even forgotten how to relax. And though experts say that some stress is good for you — it can sharpen your senses and your mind — too much stress is bad for your mental and physical health. At the same time, learning to say no can do wonders to restore balance in your life — and may even reduce some of the health risks associated with stress. • Saying no isn’t necessarily selfish. When you say no to a new commitment, you’re honoring your existing obligations and ensuring that you’ll be able to devote quality time to them. • Saying no can allow you to try new things. Just because you’ve always planned, prepared and hosted family celebrations, doesn’t mean that you have to keep doing it forever. 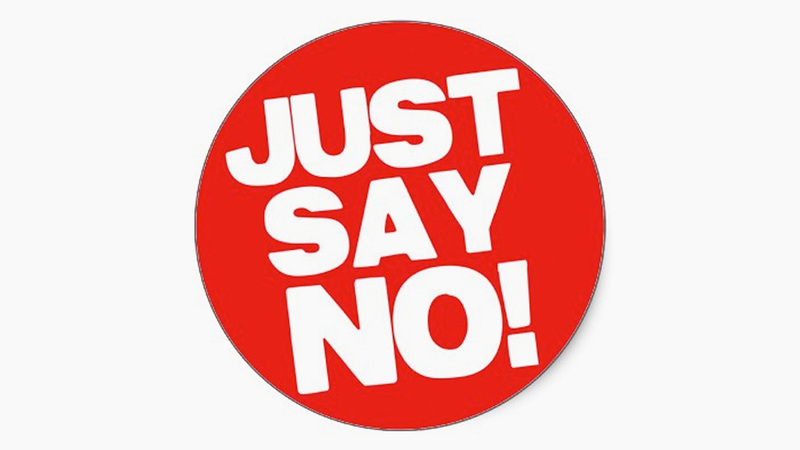 Saying no will give you time to pursue other interests or just sit back and enjoy someone else’s turkey and dressing. • Always saying yes isn’t healthy. When you’re overcommitted and under too much stress, you’re more likely to feel run-down, anxious and possibly get sick. • Saying yes can cut others out. On the other hand, when you say no you open the door for others to step up. They may not do things exactly the way you would, but that’s OK. They’ll find their own way.